Aug. 27, 2014 - The Duke Lemur Center in North Carolina has the world's largest and most diverse collection of lemurs anywhere in the world outside of Madagascar, where lemurs are native. They are the most endangered group of animals on Earth. In this video, visit the center to see some of the tiniest lemurs in their first days after birth. 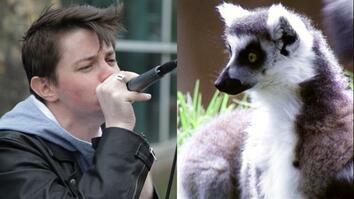 Lemurs are magnetic. 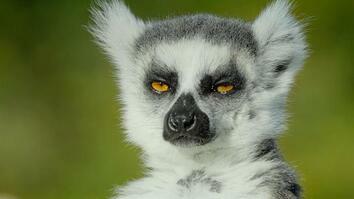 Lemurs look at us with the same sort of brain, intelligence and evolutionary history that we have. So when you meet a lemur, you're meeting a relative, and when you look into a lemurs eyes, you can tell that they're looking back. And the same things you're thinking about them, they could be thinking about you. Each species that we house here has its own species survival plans, or SSP's. We keep track of everybody's family history, and then we use that information to decide who the most genetically distinct breeding pairs would be. When we breed for lemurs, we want to make sure that we preserve genetic diversity in the captive population. That could mean that we're going to receive a lemur from another facility or we may be shipping a lemur to a facility elsewhere in the United States. Many times, because we have so many lemurs, the breeding recommendations are in house. I think all of the lemur keepers and the other staff at the lemur center live for lemur babies. They're so precious and valuable to us because in many cases, they could be some of the only representatives for their species in captivity and each new lemur baby could be the saving grace for their population in the wild. The newest arrivals at the lemur center are some of our grey mouse lemurs. One female had a set of triplets, which is really exciting, and then another female had a set of twins. For the larger, daytime active lemurs, we've got about nine or ten infants right now. We want to make sure that everyday when we weigh them, their weight is going up. Even if it's just a gram or two, that means that they're nursing and that they're healthy. For the first week of the infants life, it's pretty vulnerable. One of the ways that we know that they're healthy is that they're clinging very tightly to mom. And most of that first 30 days is spent nursing and sleeping. After the first 30 days, the babies seem become really strong at that point and they'll start testing their lemur legs, so they'll climb off of mom, sit on the branch next to her and then when a twig snaps, they turn around and they jump right back on her back or onto her belly. Lemurs today are actually considered the world's most endangered group of mammals. Some species of lemur, there's only a few hundred individuals left, and could be extinct within a decade or two. The most compelling reason for me to study lemurs, breed them in captivity and go to Madagascar and work with local people to try to protect them, is that these animals are our relatives. And we have the biggest impact on their extinction in the future and we have the biggest chance to protect them, to make sure that lemurs do not become the first primates to become extinct in over 100 years. 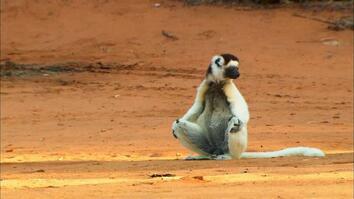 Could Vaccines Help Save Endangered Lemurs? Owl Monkey Fathers Know Best?